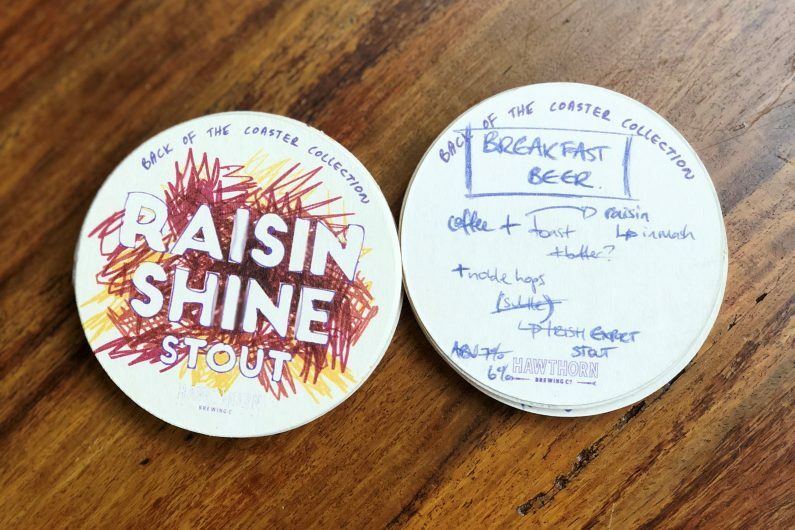 Part of our new Back of the Coaster Collection: a series all about the scribbles, sketches and doodles that become great ideas – kinda like this beer. Raisin Shine – an Export Stout born of an obsession with breakfast. The old school type – coffee and hot buttered raisin toast. What does it taste like? Raisins, soaked in coffee, soaked in stout. Cos that’s pretty much what we did. Hawthorn Pale Ale plus lots of other great beer on tap to keep you kicking on.